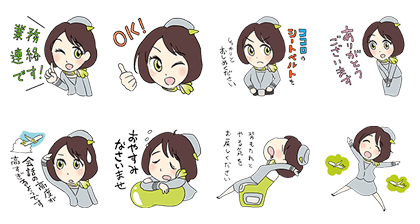 http://www.line-stickers.com/ – Solaseed Air Flight Attendant Stickers Line Sticker |The Solaseed Air Flight Attendant mascot is now ready to take off on LINE! Friend Solaseed Airʹs official account to get these high flying stickers! Available till July 1, 2015. Copyright : Copyright ©Solaseed Air. 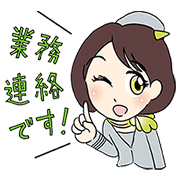 LINE Characters: Maximum Style AEON Card × Cat and chick Bubble-kun × The Rose of Versailles FANTA Crew: It’s Fun Time!